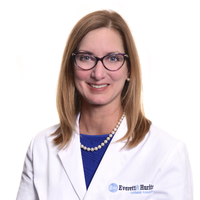 Dr. Pamela Rath is a board certified ophthalmologist with fourteen years of experience specializing in the treatment of medical retinal diseases. She is also trained in the diagnosis and treatment of intraocular tumors and hereditary diseases of the retina. A Pittsburgh native, Dr. Rath received her medical degree from the State University of New York at Buffalo where she was elected to Alpha Omega Alpha honor medical society. She completed her residency at the University of Minnesota where she received multiple awards including for research, teaching and patient care and compassion. Dr. Rath completed a fellowship in medical retina, inherited retinal diseases, electrophysiology as well as ocular oncology at Moorfields Eye Hospital in London, England. Dr. Rath treats medical diseases of the retina, macula and vitreous as well as hereditary diseases of the eye. She treats choroidal melanomas and ocular tumors both medically and surgically.